While winning the lottery is deemed to be completely random, but if you take a look at the statistics, there are some countries that seem to fare better than others. You can improve your chances of winning if you know which countries offer you the best chance of doing so. It is also important to remember that it is not just pure chances that a high percentage of lottery winners are from some countries. There are other factors that contribute to the success rate such as countries that conduct lottery games frequently, countries and websites offering lottery tickets at low prices, countries that have holiday specials and countries with a bigger population because they all affect the odds, sizes and wins. The EuroMillions lottery is something to be tried out if you are from France or Spain. 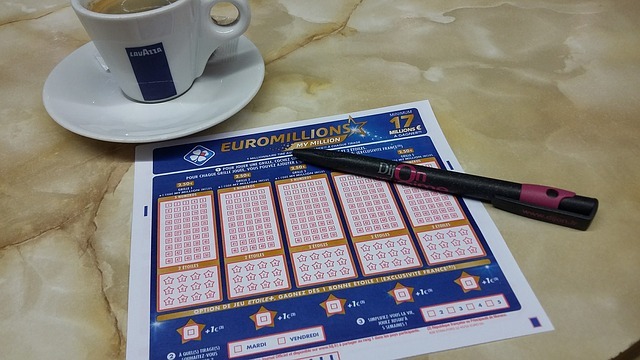 83 of the biggest jackpot winners of the EuroMillions were from France and overall, 23.4% EuroMillions jackpot winners hail from the country. Spaniards are also quite close as 22.5% of all EuroMillions jackpot winners are from Spain and it has 80 of the highest jackpot winners. The UK and Portugal are in third and fourth place. However, the 3 largest EuroMillions jackpots that were given out were distributed to a Portuguese participant and 2 UK players. There are 16 countries that participate in the Eurojackpots lottery, but the highest percentage of winners hail from Germany, which is about 45.7%. But, it is a relatively new introduction in the lottery world. With 10 winners or 28.6% of the total, Finland is on second place with Denmark and Slovenia on the third and fourth spot. But, the biggest winner of the EuroJackpot was an anonymous Czech citizen in 2015 who won 90 million Euro. The Mega Millions and Powerball lotteries have been dominated by Americans in the last five years. They are the best options for anyone playing in the US. Amongst the 24 highest lottery wins, 13 were from the Powerball. Even if the price is smaller, the chances of winning at Powerball are higher than MegaMillions as 3 of 13 highest jackpots were higher than $1 billion. Moreover, with the new multiplier option, you can also give your odds of winning a boost. Amongst the various lottery games, the highest prize pool is that of El Gordo. While this lottery is drawn in Spain, it has players from about 140 countries. While a Senegalese man claimed a prize of 400,000 euros in 2016 at Christmas, most of the prizes are claimed by the Spaniards because of the popularity of El Gordo around Christmas time. It is easy to see that some lotteries have better odds in some countries as opposed to others and you can try your luck to win.